e found this lovely house while out looking for ‘ideas’ for houses this weekend. 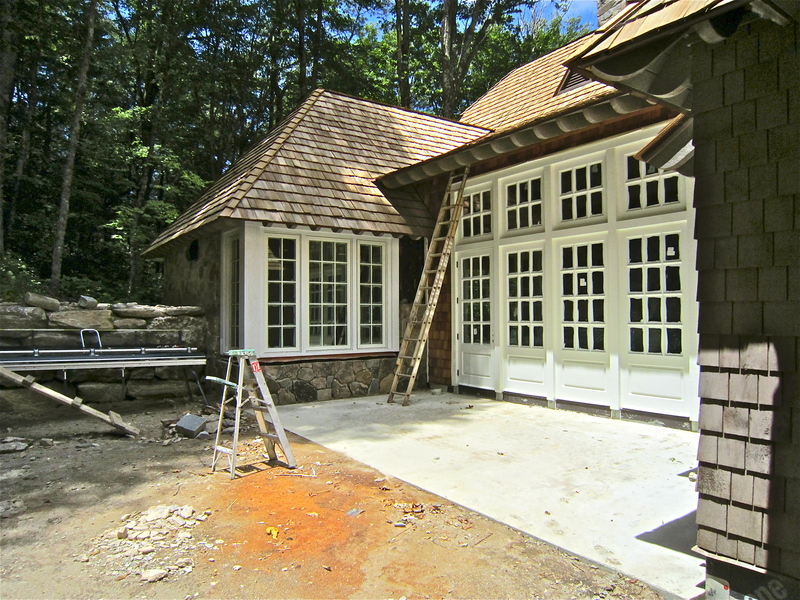 These windows stopped the car in the middle of the road–we backed up quickly–yes, my car stops for beautiful houses. 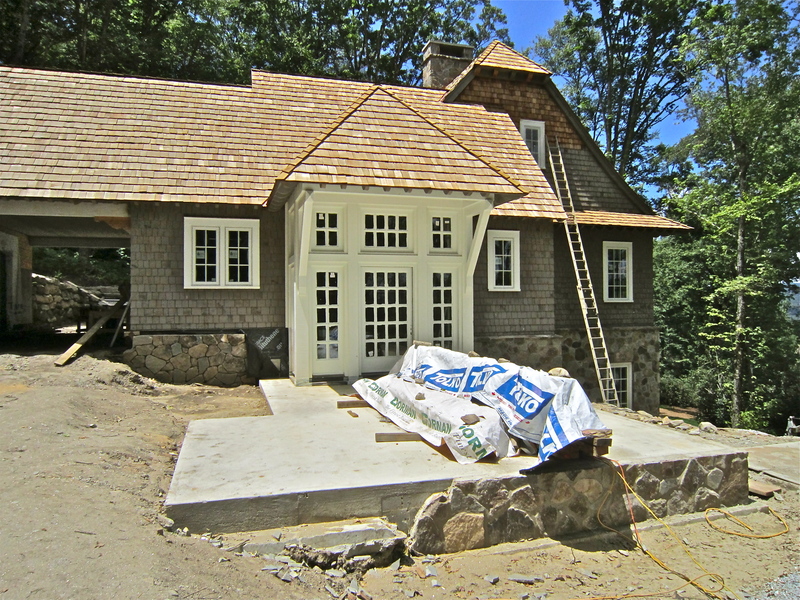 I love this house full of wonderful windows, cedar shakes, a cedar roof, stone walls and patios– Charming! 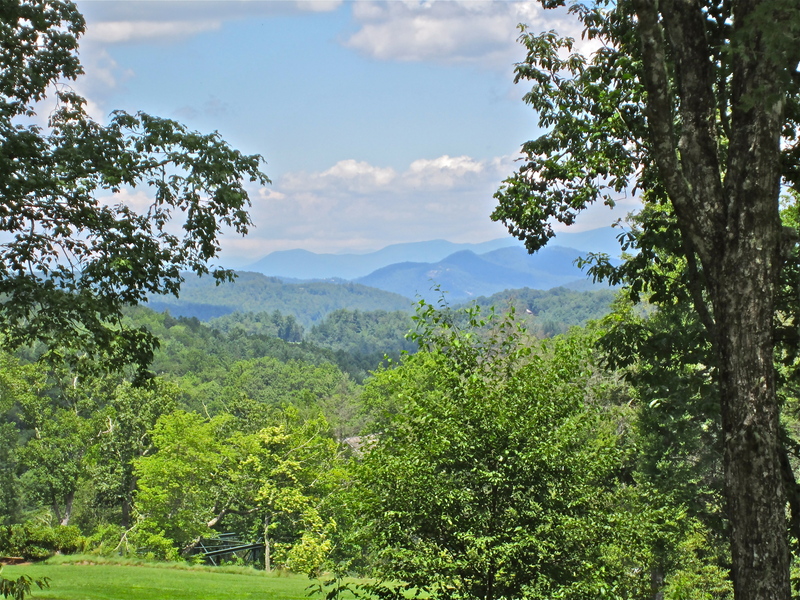 The front covered porch and large entry patio are so very practical and functional at a mountain house where the weather changes every 15 minutes. The back entry features an enclosed courtyard and more of the same fabulous windows. I can not wait to see what the next addition to this charmer will be. The house just seems to wrap it’s arms around you and welcome you home. Did I mention the view! The car stopping Front Entry! I love the side approach from the drive. So many beautiful windows! 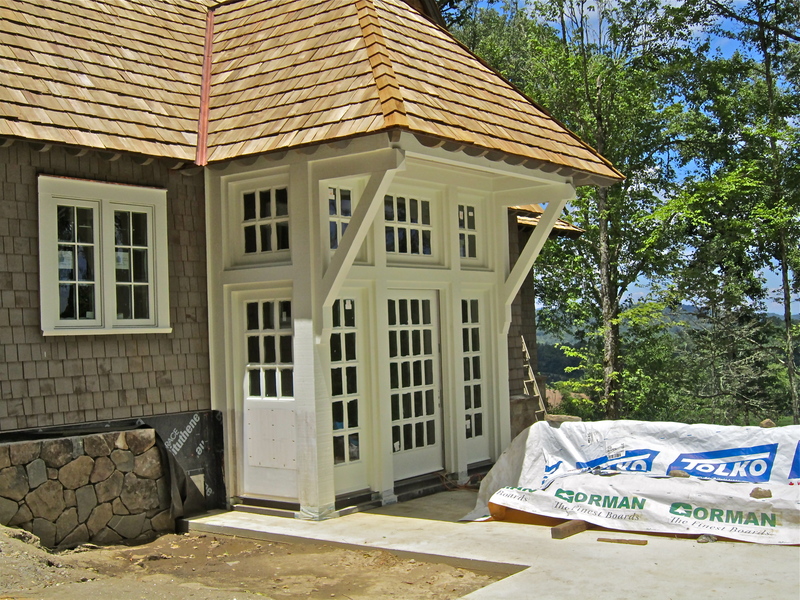 The back entry patio–more windows. I will check back later and post an update.